Day 1 Arrive Dublin Airport. Greeted on arrival by Golf Vacations Ireland. Visit nearby historic Castletown House. Stay at The K Club 5 Star Resort x 2 nights. Day 2 Play K Club Smurfit Course. Visit Trim Castle. 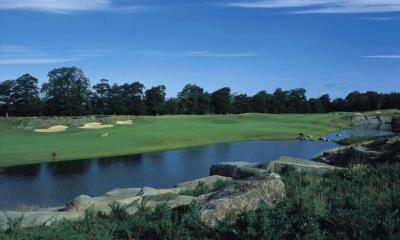 Day 3 Play The K Club Palmer Ryder Cup Course. Visit Newgrange Neolithic Tombs. Stay at The Merchant 5 Star Hotel, Belfast x 3 nights. Day 4 Play Royal Portrush. Visit the Giants Causeway and Bushmills Distillery. 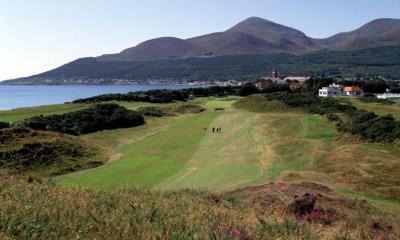 Day 5 Play Royal County Down. Visit Titantic Museum. 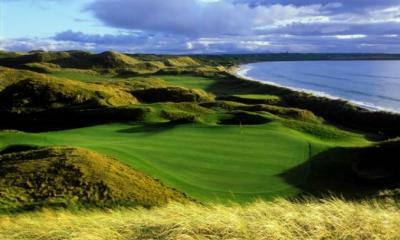 Day 6 Play County Louth.Stay at The Shelbourne 5 Star Hotel, Dublin x 2 nights. 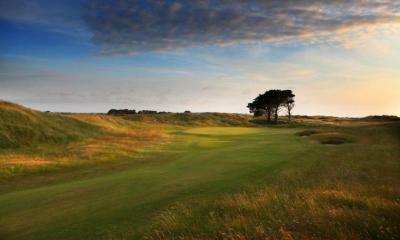 Day 7 Play Portmarnock. Tour Dublin in the afternoon. Day 8 Depart Dublin Airport. Day 1 Arrive Dublin Airport. Greeted on arrival by Golf Vacations Ireland. 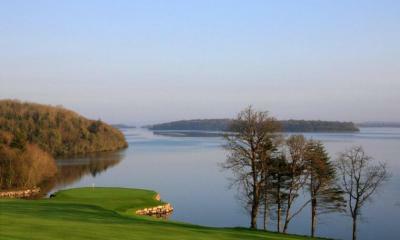 Stay at Lough Erne 5 Star Resort x 2 nights. Day 2 Play Lough Erne. Visit Marble Arch Caves. Day 3 Play Enniscrone. Stay at Adare Manor 5 Star Hotel, Limerick x 3 nights. Day 4 Play Lahinch. Visit the Cliffs of Moher and The Burren. 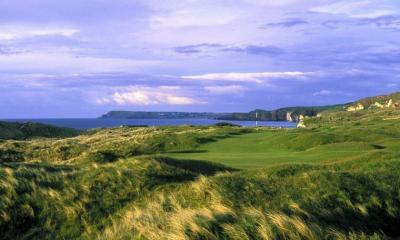 Day 5 Play Ballybunion Old. Day 6 Play Killarney Killeen. Stay at The Killarney Park 5 Star Hotel, Killarney x 2 nights. Day 7 Play Waterville. Tour The Ring of Kerry.